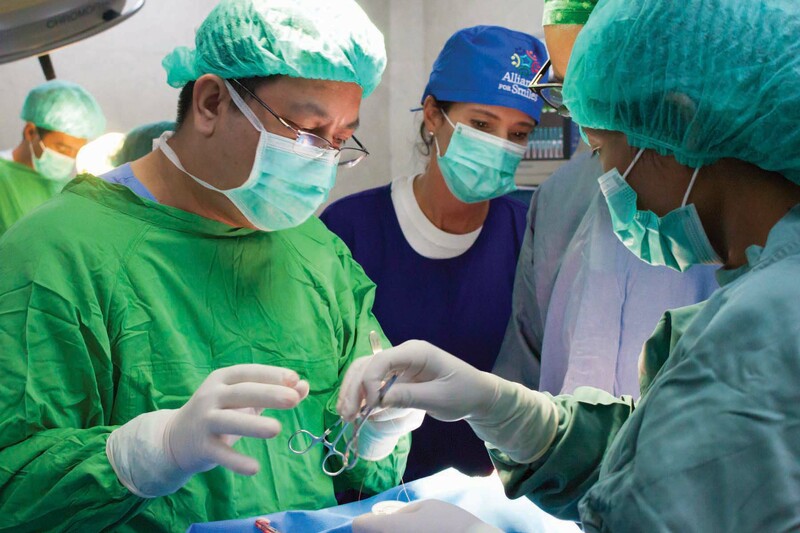 Alliance for Smiles organizes and sends surgical teams to under-served countries for two week missions . A surgical team is comprised of approximately 14 medical volunteers, supported by approximately 6 non-medical volunteers. 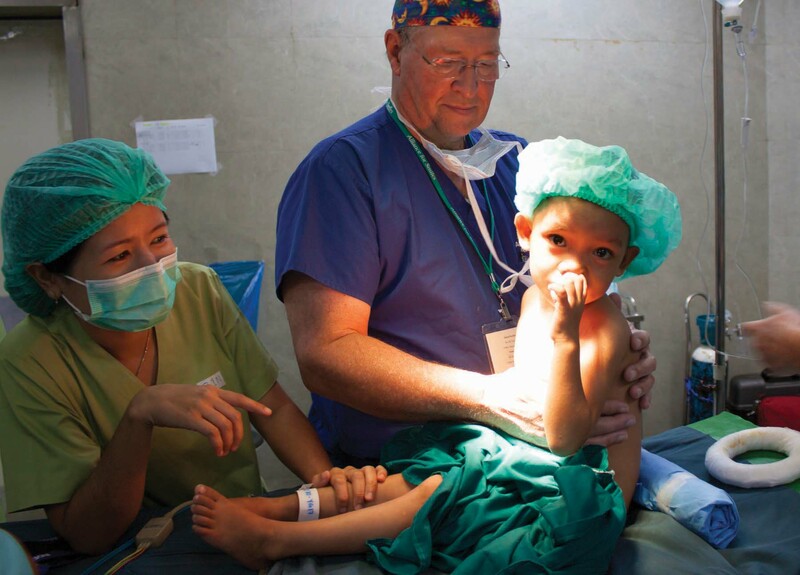 During a mission 60 to 80 children receive free surgery for cleft lip and palate anomalies. The AfS team works side-by-side with local medical practitioners to exchange ideas on proper medical techniques and procedures, as well as to provide follow-up care. If you would like to volunteer in the office, please contact us for more information. Please fill out our online application below. Or download the PDF version here. The following documents should be submitted with your application. You will have a chance to upload them at the end of the application, or you can submit them separately via email, fax or standard mail. Please Note: If you are selected to volunteer on a mission, we will need a headshot of you. You may also submit that now. Alliance for Smiles will cover international travel costs for medical volunteers, but if you are approved for a mission please consider making a tax-deductible donation to cover all or part of your airfare. All mission volunteers are required to pay a $450 Mission Participation Contribution once they have been selected for a mission. Please list two professional references - preferably physicians, dentist or allied health practitioners who are familiar with your work. If possible, include at least one member from the medical staff of each facility at which you have privileges. If you don't have all the required documents currently with you, you can submit the application now and send the forms separately via email, fax or standard mail. You will find mailing address on the contact page. To upload the documentation now, please upload below. You can upload several files. Accepted formats: .doc, .docx, .pdf, .jpg, .zip, .png, .gif. Size limit 10 MB. Once you have completed the application and uploaded all files that you wish to, please agree to the terms and hit the Submit button below. If approved for a mission we request you provide us with 25-50 names and/or email or mailing addresses of family and friends, to be collected for our fundraising database. I fully understand that any significant misstatement in or omissions from this application will constitute cause for denial of my application for affiliation with Alliance for Smiles. I hereby affirm that the information I have furnished to Alliance for Smiles on this application and in any accompanying document is true and complete to the best of my knowledge. Do you agree to the above terms? The following documents must be submitted before you can be approved. You will have a chance to upload them at the end of the application, or you can submit them separately via email, fax or standard mail. Each volunteer is required to pay a tax-deductible $450 Mission Participation Contribution once once they have been selected for a mission. Volunteers may be required to pay their own airline expenses as specified by our travel agent, unless mission is funded by a specific grant. Please list a professional or personal reference who we may contact if necessary. Note: If you are selected to volunteer on a mission, we will need a headshot of you. You may also submit that, if you like. If you don't have all the required documents currently with you, you can submit the application now and send the forms separately via email, fax or standard mail. Mailing address and contact info are on the contact page. Upload files by clicking the Choose Files button.. You may also upload all documents together in one Zip file. Accepted formats: .doc, .docx, .pdf, .zip. Size limit 10 MB. All volunteers must get vaccinated for hepatitis A and B before participating in a mission. A short video of yourself telling us why you would be a great asset to our team and how you heard about AfS. There will be times when you will be asked to wear an Alliance for Smiles t-shirt or polo shirt that will identify you as a team member. Please describe your current health, including any medical conditions we should be aware of. If you don't have the documentation ready now, you may submit it later at the above link. You will also receive this link in an email, once you hit SUBMIT below. The Alliance for Smiles (AfS) International Medical Fellowship program is designed for pre-med students who are ready to enter the medical field. Maybe you’re almost done with school or you’re completely “over” your first job and you’re wondering what you should do next, or maybe you’re simply curious about what changing lives could look like. You’ve had a bit of interesting experience in and out of the classroom, and have learned a ton, but you’re in search of something more. More hands-on experience, something—different. 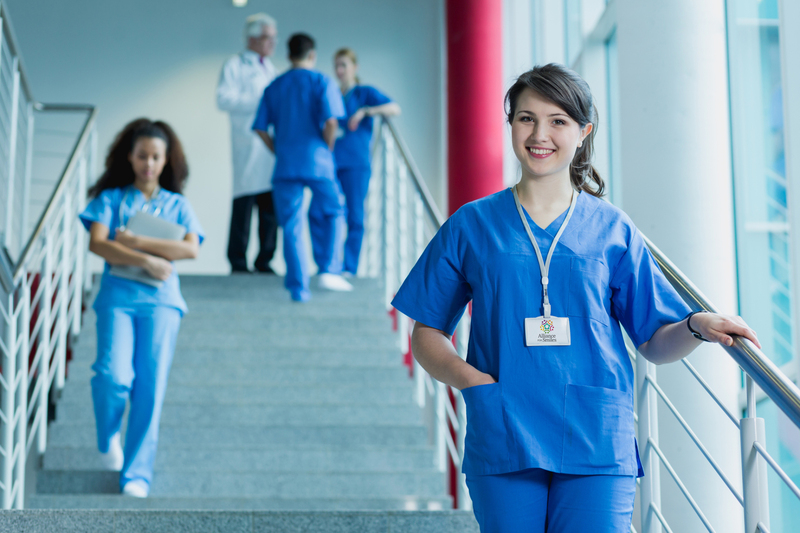 Everyone seems to be urging you to choose a career path, and perhaps you’ve already chosen medicine, but you just don’t know where you want to go yet. All you know is that you need more experience. You want to help make the world a better place. You want to see your impact on the lives of others, and where you are now, you just don’t see that happening. You’re craving something real, a professional experience, a connection to something that matters, and maybe even a change of scenery. Valuable, life-changing work is out there and it’s totally possible for you to be a part of it. Imagine, working side-by-side with a team of people who are changing lives: top plastic surgeons, pediatricians, dentists, practitioners, and more. You’re excited to have a part in making a change that matters. Additionally, you’re part of a mission that’s bigger than yourself and it fills you with joy every single morning. You’re getting an intimate peek at a potential future career all while getting to go deeper into your interest and curiosity in healthcare. You’re traveling to a country you had only dreamed about visiting in the past. On another note, you get to combine meaningful work with your love of soaking up local culture. This is all possible, and more, and we can’t wait to show you how to get valuable, hands-on experience, and make an impact on others. Finally! You get a special kind of healthcare experience. A rare, up close and personal peek inside the operating room combined with international travel and mentorship from the best and brightest in the medical field. Alliance for Smiles (AfS) is a non-profit charitable organization that repairs children’s broken smiles by providing free comprehensive treatment for cleft lip and palate anomalies in under-served areas of the world. The International Medical Fellowship is a 14-day, once-in-a-lifetime experience and opportunity to learn about cleft surgeries by supporting and observing highly trained doctors and nurses on an AfS mission. You’ll spend 12 days with the medical team and 2 days exploring. The AfS team works side-by-side with local medical practitioners to exchange ideas on proper medical techniques and procedures, as well as to provide training and follow-up care. And you get to be there, right beside them. As a fellow on a mission, a portion of your investment will be dedicated on your behalf to one child’s transformational cleft surgery. Finally, you’ve found a cause you can get behind. You know without a doubt that this is your time to travel, learn, and make a difference. No more empty work—It’s time to experience inspiration and joy with a team as you help change lives for the better. Job Shadowing: You’ll shadow our expert team while learning what it takes to prepare for, conduct, and recover from cleft-lip surgery by rotating through each position. You’ll shadow professionals from plastic surgery to anesthesia, from record-keeping to holding beautiful babies. Small Group Mentorship: With up to four fellows per mission, you’ll have access to all the doctors and nurses from breakfast through dinner. 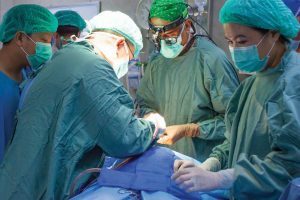 You’ll stay at the same hotel, dine together, and shadow—both in and out of the operating room, throughout the day for all 14 days. You get to learn in a structured environment with a syllabus to guide you and allow you to test your own knowledge against our “must know” syllabus questions. Thinking Bigger: When we go on these missions, we go in with open minds. Since we don’t know everything in advance and we’re respectful of the locals’ knowledge, routines, and culture, we work with them shoulder-to-shoulder to establish routines and practices that work with the local equipment, education, and culture. This is also why we’re so passionate about our treatment centers. We have the opportunity to develop and educate the local hospitals and medical staff to an extent where they can be successful without us. You’ll develop international friendships and understanding to maintain and cultivate new levels of peace. Travel Costs: Accommodations for 11 nights, ground transportation to and from the airport, 3 healthy meals a day, travel insurance, and administrative costs. Airfare is your responsibility. Verified Volunteer Hours: You’ll get 80 hours of verified volunteer time and a certificate of completion. A Safe and Secure Travel Experience: Working with our carefully vetted travel agency, they’ll help you book accommodations in the safest areas that typically have easy access to major roads, shopping areas, U.S. embassies, and the airport. Freedom to Explore: You get 2 full days off during your 14-day fellowship mission to explore. You can choose from several customized short trips which are sold as all-inclusive packages and can be added to your fellowship charges. Ask for more information. We have tons of fundraising ideas to help you raise funds. For more information contact us at internship@allianceforsmiles.org or (415) 647-4481. Step 2: A team member will reach out to discuss the program with you – to answer any questions and make sure you feel comfortable. You’ll also submit the $500 deposit at this time. Step 3: You’ll receive all the information you need by email and we’ll work with you to ensure you’re fully prepared. In addition, you’ll pay the full amount before your departure..
Be part of our launch. Take advantage of our special pricing. Call us at (415) 647-4481 to discuss. You just can’t imagine how happy I am right now. Can pronounce clearly, not being teased by anybody…so happy! I feel so blessed living a normal life, like normal people in a normal condition. And it all happened because of you! I will never forget you as kind individuals. Thank you, thank you, thank you… with love and kisses from my heart. Although I don’t know your names, when I see your smile I can feel your love. You are so kind, so sincere, and I am so touched. There is actually love in this world, and individuals are not as selfish and cold-hearted as I believed. We were neither friends nor relatives, yet you came so far to help me. I just can’t put into words how touched I am. I was so very worried about my child, Somiya. You have helped us a lot by coming here. I and my family are very grateful to you for this, so much that we are out of words. We will remember you till the last days of our lives. In order to celebrate dedication to AfS on the occasion of our 10th Anniversary, the Decade of Leadership Award was created to honor four remarkable individuals who have given of their skills and talents from the beginning days of Alliance for Smiles. In 2009 Alliance for Smiles launched its Legacy Campaign to encourage individuals to make a minimum $5000 one-time donation; or to make multiple donations through-out the year adding up to $5000. Participation in this campaign is recognized by membership in a special Legacy Club that will be publicized on the website, at the Gala and in literature. Everyone who donated a minimum $5000 by December 31, 2009 became a Charter Member of this very special Club. Individuals are inspired to volunteer and donate because of their belief in the work of an organization. Especially when considering humanitarian programs, the emotions felt because of participation in a program that changes lives can have a sincere and long lasting impact. For many, what an individual accomplishes during his or her lifetime is totally satisfying and fulfilling. Involvement in family, friends and work create a sense of well being. However, for those who want to make a mark in another way and share more of their talents and wealth with humanitarian concerns, involvement in a cause can be extremely rewarding. When they pass, they will have left a humanitarian legacy. Those people involved in the work of Alliance for Smiles, whether as volunteers or donors, are leaving a legacy that goes beyond the lives of the children receiving surgery. It extends to the patients’ families and to their villages. Alliance for Smiles heals tens of thousands of lives when considering the extended community affected. To carry on the work of Alliance for Smiles, funding is crucial. Therefore, those individuals who are willing and able to make significant donations are core to program sustainability. These individuals have the opportunity to allow the work of Alliance for Smiles to progress, building on an impressive past. Therefore in 2009 Alliance for Smiles launched its Legacy Campaign to encourage individuals to make a minimum $5000 one time or multiple time donation to the work of AfS. Participation in this campaign will be recognized by membership in a special Legacy Club that will be publicized on the website, at the Gala and in literature. Everyone who donated a minimum $5000 by December 31, 2009 became a Charter Member of this very special Club. Dr. Wallace Chang, M.D. Dr. Thomas Mack, D.V.M. Mr. John Goings Dr. Alan Stormo, M.D. Rotary Clubs who supported the work of Alliance for Smiles during its first four formative years with donations of $25,000 or more received the honor of being Founding Rotary Clubs. Alliance for Smiles recognizes three Rotary Clubs with this title and they will be recognized in perpetuity for their faith in the work and dreams of Alliance for Smiles. Alliance for Smiles wishes to thank the above individuals and Rotary Clubs for their support which has helped Alliance for Smiles to not only facilitate medical missions during its first four years but to prosper and grow. Subscribe to Alliance for Smiles News! 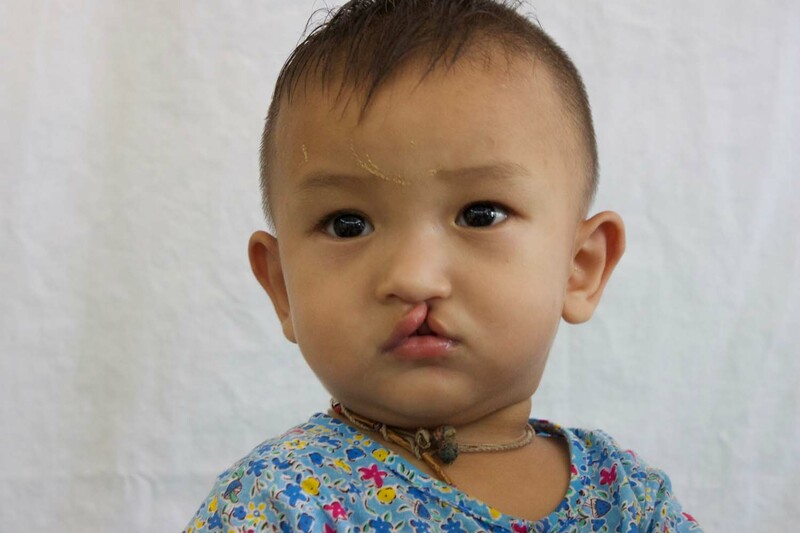 Our mission is to repair children’s broken smiles by providing free comprehensive treatment for cleft lip and palate anomalies in under-served areas of the world.